One Direction have unveiled the artwork for their new single 'Best Song Ever'. The collage-style cover for their new track appears below. 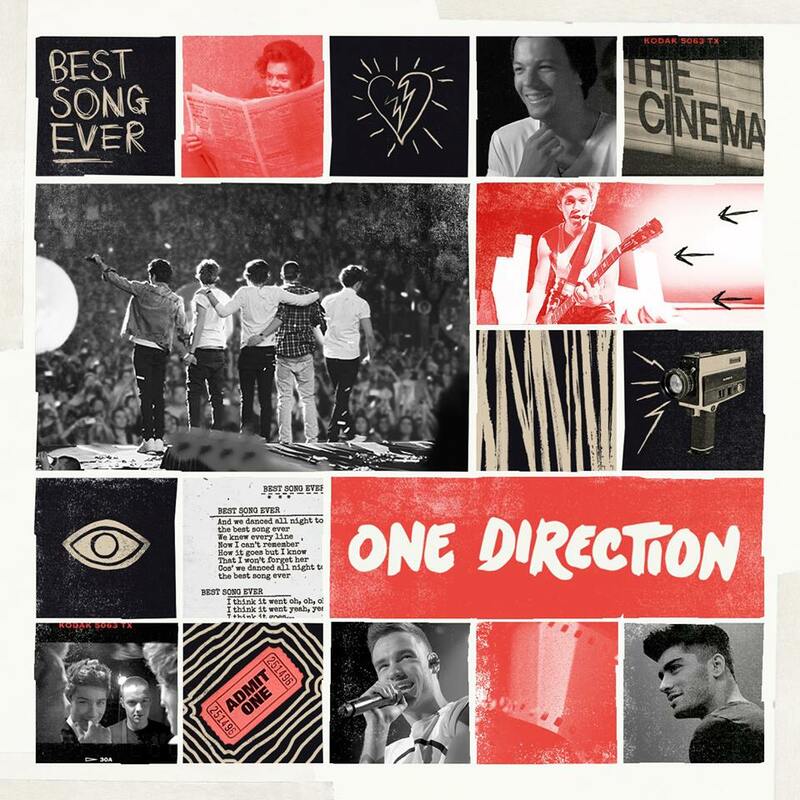 'Best Song Ever' - out July 22 - serves as a promotional single for their upcoming 3D movie This Is Us. The song was co-written by Ed Drewett, Wayne Hector, John Ryan and Julian Bunetta. This Is Us will be in UK cinemas from August 29 and a day later in the US. One Direction's label boss Simon Cowell recently praised the music video for 'Best Song Ever', tweeting: "[It's their] best video ever, these boys are very very smart."